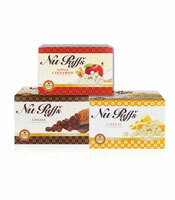 NuPuffs is a healthy snack alternative made with superior raw herbs, some of which contain antioxidant properties. As source of complex carbohydrates, NuPuffs also contains three grams of protein per serving, only two grams of fat, and no cholesterol. With far less sodium than other snacks, you don’t have to worry about water retention or bloating. A healthy snack alternative, NuPuffs® are made with superior raw herbs in a unique formulation that uses NuPlus® herbal food as its base, an excellent source of complex carbohydrates. Be the first to review “NuPuffs” Click here to cancel reply.